Sally was in Cardiff so popped over to see me and it was a good excuse for a couple of days off. My spare time was easily filled with some sightseeing (back to Tenby and Pendine Sands), lots of eating and some drinking. 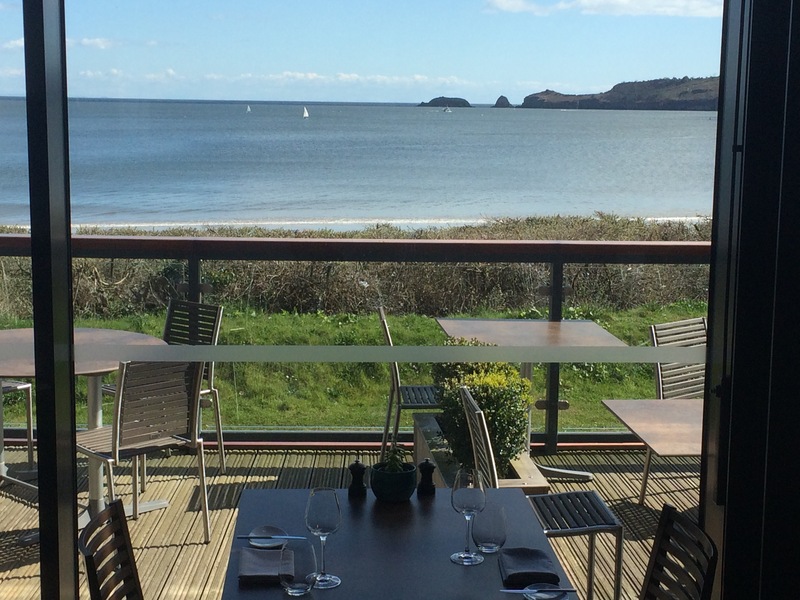 The Saturday newspaper contained an article on places to eat by the coast and it featured a restaurant at Coppet Hall, Saundersfoot. 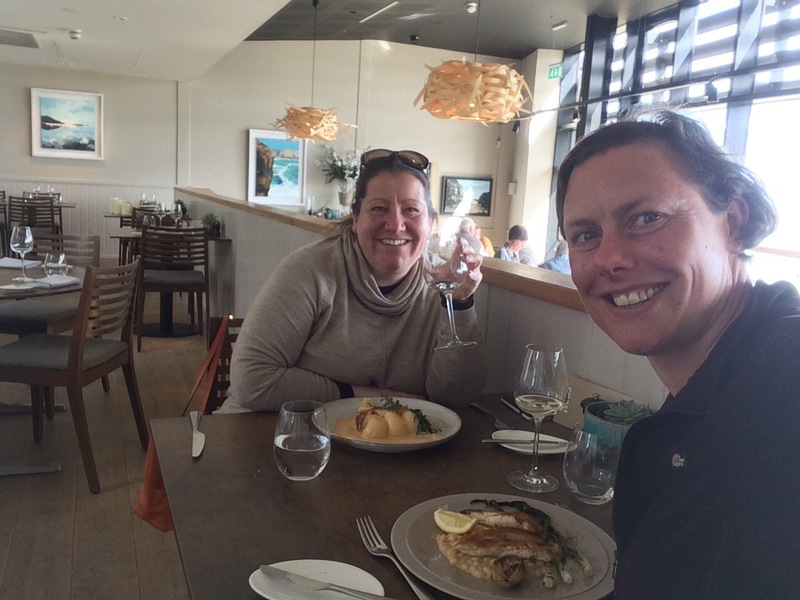 So, after reading about it we tried it out, and I can thoroughly recommend Coast for some top quality food. It was a bit cold for swimming in the sea so we just admired the views from Pendine. Previous Article Day 256 From Pembrokeshire to Carmarthenshire – the Need for Speed! Stop being a girl and get in the sea! Well earned rest after clocking up some serious mileage. 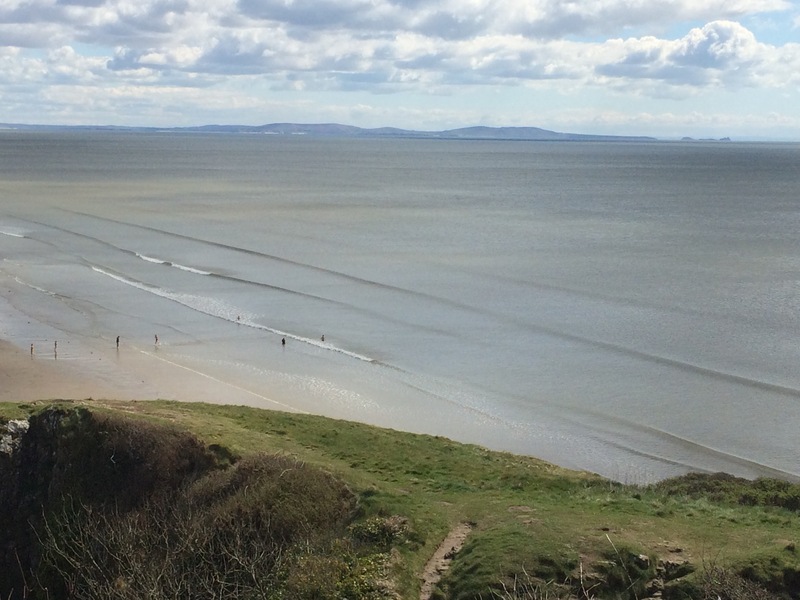 What you have seen is beautiful but the best is yet to come….the Gower takes a lot of beating…..on on Juice.